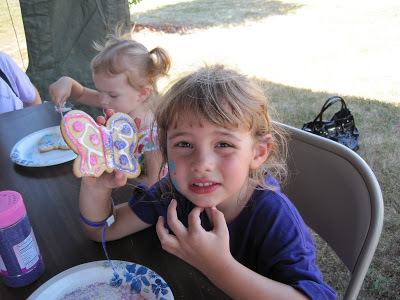 Saturday I attended the Butterfly Festival given in honor of my cousin Debbee’s daughter Katee, who was senselessly murdered 10 years ago in an attempted robbery on August 30, 2001. Katee ended up in the wrong place at the wrong time. She became a victim of violence for greed of drugs or money. Katee’s death deeply affected everyone who knew her. Lives changed forever. Debbee and her husband put together several events each year to raise money for various organizations that help teens and aid in the fight against crime. This past weekend they held the Butterfly Festival. Katee loved butterflies. Hundreds of people attended. 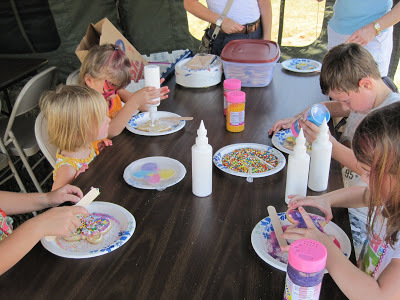 The festival had numerous events from face painting, live music, baseball for all to play, food plus much more entertainment for children and adults as well as butterfly cookie decorating, which was the booth that I arranged. 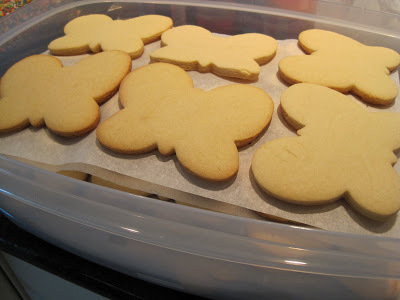 For the event I made 100 yummy butterfly cookies that I helped the children decorate with royal icing and sanding sugar. 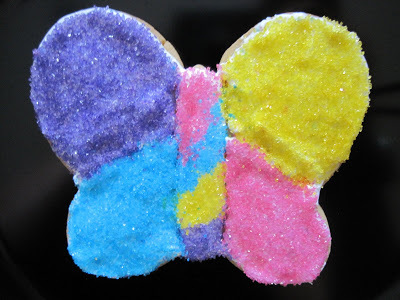 It was so much fun watching each child create their own unique butterfly and then of course gobble up their delicious creations. Although we will always miss Katee, her passion was in helping others. With a foundation created in her honor the annual events that her family and friends put together each year raise funds to help teens and fight crime in the community, something that Katee would be very proud of. It was a lovely event and a beautiful day with butterflies floating through the air, everywhere! What a beautiful way to honor Katee’s life! How wonderful that your family has taken this awful tragedy and turned it into something that helps others. 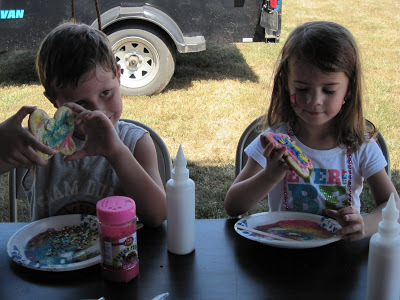 The cookies are beautiful and it looks like the kids had so much fun making them! Thank you! The kids did have a great time and so did I. My daughter helped me as well with the kids and she even had a great time. It was a nice way to spend the afternoon in honor of Katee! Hi Vicki-My heart goes out to you and your family, such an unfortunate tragedy that happened to Katee. 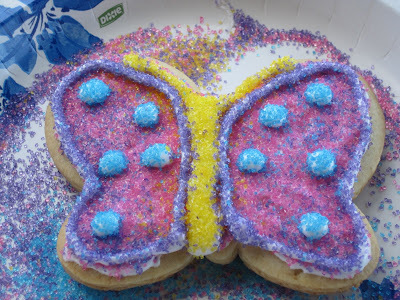 Beautiful event, with all the children helping out with the fun and yummy butterfly cookies! I did an entire post with the watermelon knife, just now! I love the knife and it is so pretty, fun, and totally amazing! Thank you for hosting the giveaway, and mostly for being able to win it! What a beautiful way to honor Katee – you are in my heart. Her parents have my sympathy and deepest admiration for making a positive impact after such a terrible tragedy…..
@Ann – I honestly don’t know how Debbee and her husband survived. I know it was brutal on them but through the help of family and friends they’ve managed to keep strong. None of us should ever have to go through something like that. I can’t even imagine! What a horrible senseless thing. But this is such a wonderful way to pay tribute to her memory and to aid in the prevention of this happening to other families. @ Magic of Spice & Elisabeth – thank you for the nice comment. It was such a nice event. I have to give Debbee and her husband credit for the way they have turned this into something positive. I’m not sure I would be this strong. Hopefully none of us will ever have to find out.